Fairy tales are the best way to make a child learn many important lessons of life. Buy a single copy or subscription to My Favourite Fairytales magazine. The magazine does just that with carefully selected tales that inspires and keep the young girls entertained for a long time. The subscription of My Favorite Fairytales makes a perfect gift for the young pre scholar girls to develop their reading and communication skills. Young girls would enjoy the colorful pictures that drives and illustrates the tale in an amusing way. It is published six times a year with enough contents for young girls to fulfill their appetite of fascination and fantasy. 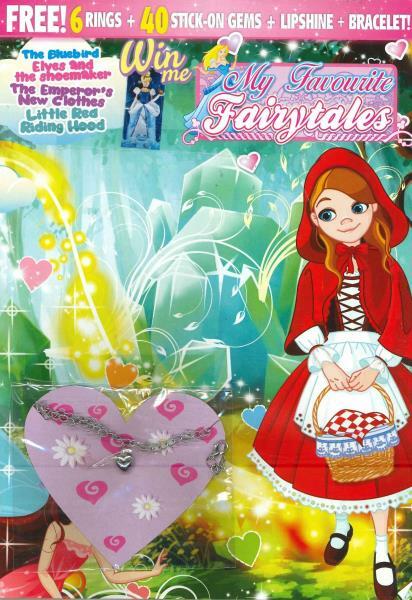 The fairytales of the My Favorite Fairytales magazine are thoughtfully selected and written in an easy to read manner that is enjoyable too with highly expressive language and understandable vocabulary.